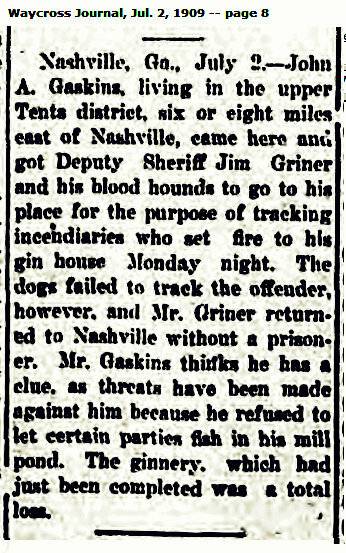 James Benjamin “Jim” Griner, born June 22, 1874, was the husband of Mary Catherine Hill Griner (see A Christmas Wedding for Mary Catherine Hill). 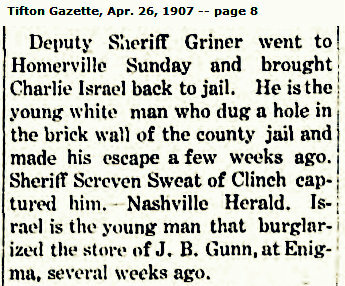 As a young man Jim Griner tried his hand at farming, but by the early 1900’s he had turned to a career in law enforcement serving as Deputy Sheriff of Berrien County and as the Chief of Police in Nashville, GA. In the 1930s the Griners moved to Ray City, GA where Jim returned to farming. But by the 1940s Jim Griner put his badge back on to serve as Ray City Police Chief. 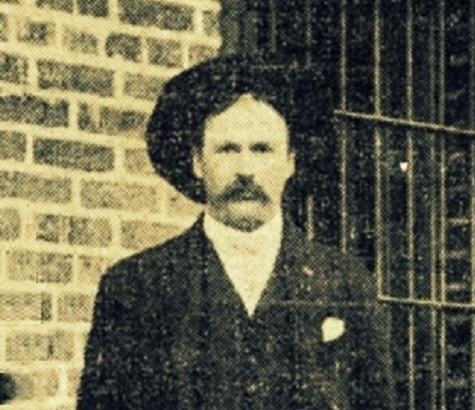 A fellow lawman of Ray City at that time was State Patrolman Perry Lee Pittman. 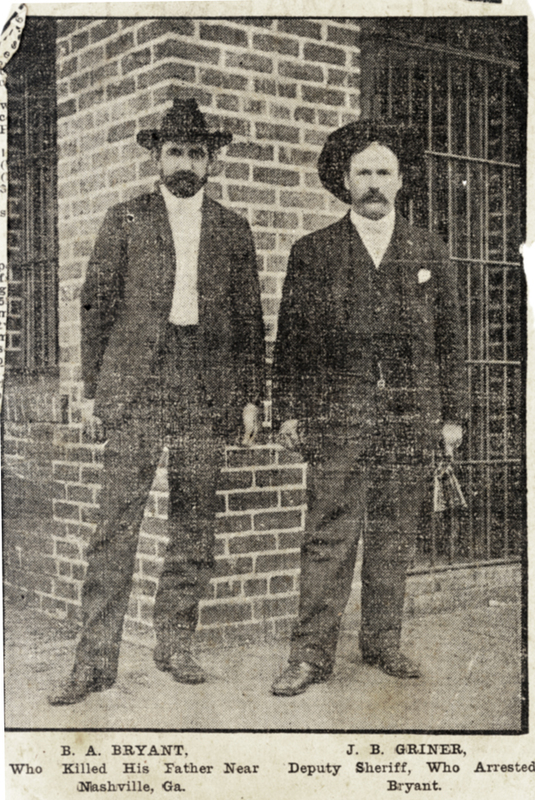 In 1915, Deputy James B Griner and Sheriff I. C. Avera were embroiled in a lawsuit that went all the way to the Supreme Court of Georgia. It all started when T. J. Luke got a judgement against Moses and Joseph Bembry for debts they owed him. Taking his execution order to the Sheriff, Luke identified certain property owned by the Brembrys that could be sold to satisfy the debt. The Brembry property was duly advertised for sale by the Sheriff’s office. 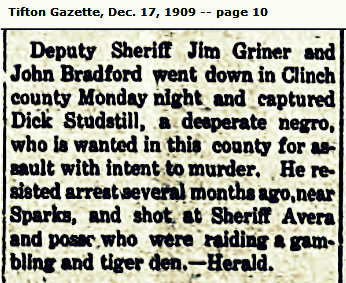 Deputy Sheriff James B. Griner had in mind to obtain the property for himself and sought to borrow the money to make the purchase. But on the day of the sale the loan fell through. Frustrated in receiving his money, T.J. Luke demanded satisfaction from the Sheriff’s Office. 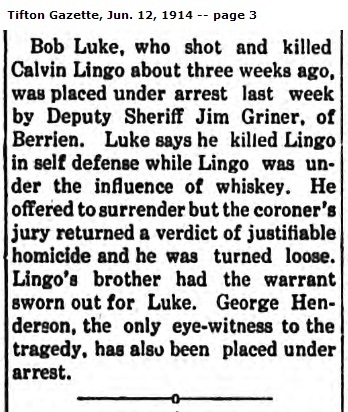 Luke took the case to court in Berrien County. 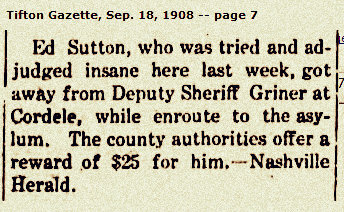 On March 23, 1914 The court directed the Sheriff and his deputy to sell the property immediately with the proceeds payable to Luke. 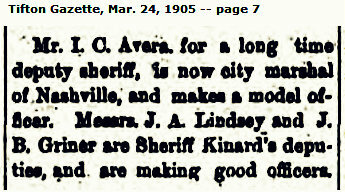 Should the Sheriff’s Office fail to execute the sale, they were directed to appear before the next term of the court. But a year later, Luke was still waiting for his money. 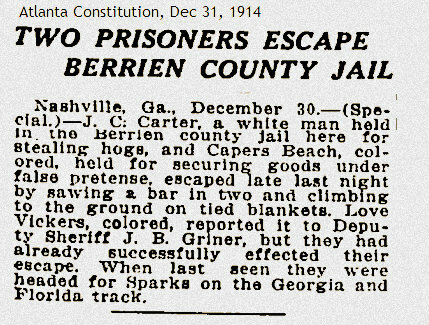 He took the case to the Supreme Court of Georgia, asserting that the lower court erred in not calling for immediate satisfaction of the debt by the Sheriff’s office. 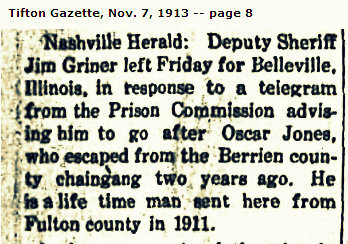 Fortunately for J.B. Griner and Sheriff I.C. Avera, the Georgia Supreme Court ruled there was no error. Read the syllabus of the court, LUKE vs AVERA, et al.